Here is a brief introduction about 75W Eleaf Pico . First of all, the measurements are 70.6 x 45.2 x 23.2mm. 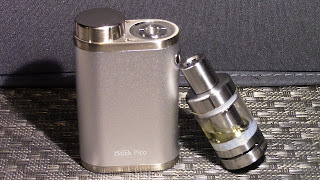 And the pico mod works well on the Eleaf Melo 3 Mini tank or the Melo 3 tank.